This three hour beginner’s course focuses on basic paddling strokes, safety and rescue. Whether you are new to paddling or have just never had any formal training, this course offers the skills and knowledge to keep you safe and comfortable on the water. 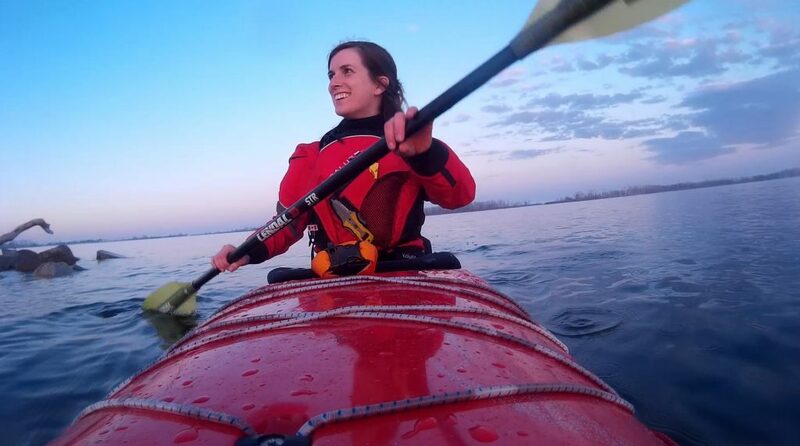 The class will begin with on land introductions and a safety chat where we will go over proper safety equipment, Transport Canada regulations, weather, and proper paddling clothing. Once we get in the lake we will then learn the basic strokes needed to get you going. Strokes covered are: Front stroke, sweep stroke, draw stroke, and low brace. The second half of the lesson will be spent on rescues. We cover both group and self rescues with and without a paddle float. This part of the course requires you to capsize the boat and get wet, so be prepared! *Times are subject to change and courses are weather-dependant. Cancellation, refunding and rescheduling is available if necessary. These changes must be made with at least 48 hours notice prior to your selected lesson. Please refer to our cancellation policy on our Lessons page. Hurry, there are only 12 spots left. Bring clothing and footwear that will keep you comfortable and warm when wet (synthetic or wetsuit is best!) as well as a towel. If you require goggles, nose plugs, or any other accessories to be comfortable in the water – bring them! Lastly, don’t forget your hat and sunscreen and a lunch or snacks. If you need to rent a kayak and gear for this course the fee is $50.00 extra. You will be contacted by our staff prior to the course to confirm details. We will meet at the Royal Burger stand. We understand that things come up and that you may need to cancel your spot in the course. We will gladly refund the cost of the course or move you to another date with open spots with at least 48 hours notice if you are unable to attend. Refunds will not be issued for lessons or courses that are cancelled with less than 48 hours notice.